A few months ago my friend Joey Kissimee came out with the Timeline Slicer. Basically Timeline Slicer is a mini version of Photoshop that you can use to create gorgeous Facebook Timelines right on the internet. You can learn more about it in this post called Introducing Facebook Timeline Slicer Pro or if you have a Facebook page and you want to increase your engagement and Facebook EdgeRank just get the slicer right now! Ching-ya is well known as being a Facebook Guru and a wealth of information when it comes to social media. She highlighted one of the Facebook Timelines I created with the slicer in a recent blog post which got over 350 comments on Facebook! One of the things I love about Joey and this product is that he is constantly listening to feedback from his users and affiliates. 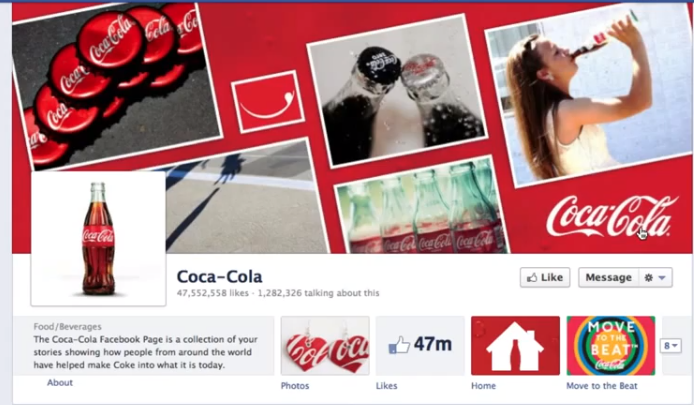 The latest new feature he added is the collage blocks that let you create covers just like the ones Coca-Cola uses on their Facebook Page! Joey also prepared a video with step-by-step instructions on how to create your own "Coca-Cola" Timeline Cover. Btw - if you ears perked up when I mentioned "affiliates" earlier, check this out. If you have a ClickBank account you automatically qualify to be an affiliate for Timeline Slicer Pro. Listen up guys, just because you have a Facebook Page with lots of fans, that doesn't mean your fans are seeing your updates in their streams. You need to increase engagement with your fans and creating new Timeline covers is the perfect way to do just that! Use these new collage blocks to feature your fans so you can tag them when you upload the image (don't tag them unless they are featured!) and you'll get tons of engagement and increase your EdgeRank scores in no time!